The International 4 finally kicks off today with the play-in series. Who will be the wild child? 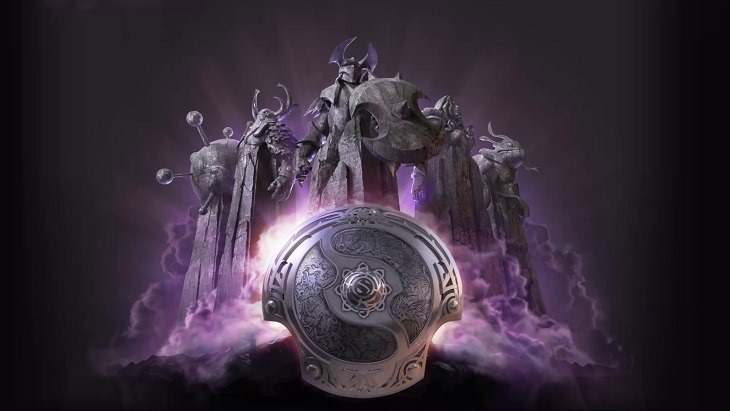 The International is just about here, Dota 2 followers rejoice! Kicking off the festivities is the play-in series, featuring 4 teams who just missed a spot in the top 15. They still have a chance for glory and a slice of that huge $10 million prize pool though, as the winner of the play-in gets to take the 16th spot at TI4. Find all you need to know about these teams and their upcoming games after the jump. Virtus Pro surprised many in the qualifying stages, considering that they were actually considering disbanding at one stage. They held it together, kicking out the popular RoX.KIS, but ultimately losing to Mousesports in the end. MVP Phoenix have proven that they are not to be written off, as they put up a strong performance during the qualifiers. Arrow proved to be too strong for them though, beating them 3-1 in the qualifying final. Team Liquid have had a rather rough year, losing two of their players initially. They then went on to lose a third player, Brian ‘FLUFFNSTUFF’ Lee, who expressed his issues with the team in a blog. Regardless, Liquid have found solid replacements, and their team synergy is only getting better and better. CIS nearly didn’t make it to Seattle, thanks to the issues that they experienced at the Chinese VISA offices. This may have disrupted their preparations, but they have proven themselves thanks to their eliminations of Tongfu and Dreamtime. Their determination alone may just see them through. There is no second chance for these teams should they lose their first match up. The two matches will be best of 3, with the winners of both playing each other for the 16th spot while the others are instantly eliminated. The third and final matchup will take place after the 22:00 game, probably at around 02:00 or so. You’re going to need a lot of energy drinks if you intend on staying up for all the action! If you have the Dota 2 client installed, I’m going to go ahead and assume you know exactly how to watch each game. Don’t forget that newcomers can also enjoy the action. If you couldn’t be bothered downloading the Dota 2 client, you can stream through Twitch if you’d like to see what all the fuss is about. Remember, that stream is meant to be beginner friendly, with the casters giving more detail as to how the game works. The Solo Championship will be taking place sometime during the play-ins. The best solo players in the worlds go head to head to see who is the best mid player. These games are generally quite quick and exciting, but they will be taking place during the play-in games, so they may be missed. In the play-ins, I think Virtus Pro will take their game while CIS will take theirs. In the final, I am leaning more towards Virtus Pro. Maybe its my European roots that are clouding my judgement, but I think they might just take it. Who do you think will nab the final spot? Lastly, I will leave you with this comic from one of my favourite Dota 2 comic strips which basically demonstrates the power of Shagbark, the cutest damn courier in existence.